Offering efficient solutionsfor agriculture professionals with forage combine harvesters and grain combine harvesters. 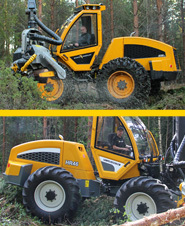 Produces combine harvesters, forest harvesters and industrial cleaning machines. BISO- Schrattenecker has a long tradition of improving working performance and increasing harvest yields.